For some climbers, Chopicalqui is considered to be the third Huascarán peak. 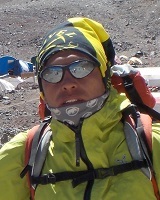 It's altitude is 6354 m and is therefore one of the more demanding mountains to climb in the region. Previous climbing experience is mandatory. From the summit there are breathtaking views of Mount Huascaran, Chacraraju, Huandoy and many other mountains.